All of the episodes are informative. I always learn something. Occasionally they're a little geeky or wonky. But even then I always learn something. Gut health has been such a buzz lately that most people understand its importance on a basic level. This could mean adding in prebiotic-rich foods, taking probiotics, and drinking or eating things like Kombucha and Kefir to promote an optimal gut balance. But what if we told you that this approach could be making things worse if you’re not targeting it towards what your body specifically needs? And if you’re continually doing this, it’s no wonder that your issues have only slightly improved. The good news is that this is a sign that you’re moving in the right direction and, with the help of this podcast episode with Dr. Michael Ruscio, you can keep moving that way. To do that, Dr. Ruscio shares the exact steps he uses in his clinical practice to help his patients improve their gut health. He’ll also jump into why probiotics may not be working for you and how to find ones that will, immunoglobulins on gut health, dietary histamines, the best diets for gut repair, sugar alcohols on the gut, and so much more. Tune into the episode now to learn what it really takes to improve your gut health. He was one of the first guys to dive head-first into paleo. He’s even dabbled on carnivore for six weeks. Now he prefers a paleo-keto approach. If you haven’t guessed it yet, this podcast episode features two-time New York Times and Wall Street Journal best-selling author of Paleo Solutions and Wired to Eat, Robb Wolf. Robb sits down with Dr. Anthony Gustin to chat about everything from mTOR activation, fasting, autophagy, electrolyte imbalances, and more. Robb even dives in deep to uncover the mechanisms at work with fasting and being on a low-carb diet and where he thinks things will evolve in the future. So if you’re someone who loves to geek out, this episode is perfect for you. And if you’re just interested in learning more about how to improve your health and quality of life, you’ll find something interesting in this episode too. Robb -- who has close to 300k social media followers -- also shares his best advice for choosing the right tool to reach your health goals. Check out this jam-packed episode now to learn more! While most people understand the benefits of fasting, few know the true power of reaching autophagy. But what exactly is autophagy and the benefits associated with it? We’ll briefly tackle the basics like these before moving on to more complex topics such as long-term fasting, muscle mass, mTOR, and protein synthesis. Don’t let the complexity of the topics deter you though -- Siim shares his knowledge in an easy to digest format that both beginners and seasoned pros alike can understand. In addition to that, you’ll also hear more about Siim’s tips for breaking a fast, prolonging a fast, carb refeeding, and whether or not you should workout while fasting. As a best-selling author with close to 100k social media followers, Siim Land is a wealth of knowledge on the topic of autophagy and fasting and he shares everything he knows in this episode. Whether you’re just dipping your toes in the water here or you’ve been fasting for years now, this episode has something for you. Tune in now to learn more! Have you ever wondered if there was a way to improve your health in less time? While we’re not referring to quick weight loss strategies and detoxes that don’t work, we are saying that it’s possible to biohack your health, as you’ll learn in this podcast episode with Ben Greenfield, one of the world’s top influential people in the health and fitness world. Ben shares some of his best biohacking strategies, his morning rituals, and what moved the needle the most in terms of performance and health in this episode. You’ll also hear more about the specific type of water he swears by for better health, his race performance hacks for both before and during a race, and what he sees as the future in this space. If you’re not familiar with Ben Greenfield, he’s an obstacle course racer, best-selling author, biohacker, coach, relentless self-experimenter, father to twin boys and has over 400k social media followers. So he understands what it’s like to maintain a busy lifestyle while achieving incredible health feats. Find out his insanely simple secrets by tuning into this podcast episode now! You may not have expected Dr. Anthony Gustin of Perfect Keto to sit down with Dr. Josh Axe since their companies are similar, but the reality is they share a similar background as well as some of the same health and nutritional philosophies. You’ll hear more about this and Dr. Axe’s background as a former chiropractor and how he uses a nutritional approach based on Chinese Medicine. Dr. Axe also shares how he helped his mom use keto during her cancer diagnosis, his thoughts on using keto both short-term and long-term, and whether he follows a keto diet or not. If you’re not familiar with Dr. Josh Axe, he’s a certified doctor of natural medicine and clinical nutritionist who has amassed close to 5.3 million followers on his social media channels. We also dive into a number of topics surrounding probiotics, collagen, CBD, and the best herbs and spices for better health. This episode is jam-packed with a ton of information -- it’s one you don’t want to miss. Is it really possible to detoxify the body? Or are those juice cleanses and detox kits just a marketing scam? As the title suggests, these quick-fixes don’t even scratch the surface when it comes to detoxification. But that doesn’t mean you can’t rid your body of toxins, including heavy metals. Rather, it’s just the opposite as you’ll learn in this podcast episode with Dr. Daniel Pompa, a former chiropractor who now practices cellular healing and teaches hundreds of doctors and professionals how to guide their patients through cellular detoxes. Find out what it takes to really detoxify your body, why you would want to do this in the first place, and how fasting and a low-carb diet are great tools to use here. You’ll also discover the one key ingredient missing in people who eat a healthy diet, why Dr. Pompa believes in diet variation, and how autophagy works. This is one eye-opening episode you don’t want to miss, especially if you’re dealing with unexplained chronic fatigue, headaches, anxiety, sleeplessness, or other unwanted symptoms. Tune into the episode now to learn more! She’s coached hundreds of clients throughout the years and believes in a dogma-free nutrition approach. Yet, after some persistent nudging, she decided to give keto a try for 90-days. Despite eating more calories, Adee Zukier Cazayoux, CEO and founder of a nutritional coaching program called Working Against Gravity, lost body fat and felt better than ever. Even with these positive results though, she doesn’t push keto on her clients. So what does she promote? Find out in this podcast episode as Adee shares her top nutrition tips from all of these years helping people make weight for competitions and lose body fat. These aren’t your typical diet and nutrition tips either. Rather, they’re focused on finding the right fit for you and how this may change over time. And if you’ve ever wanted a sneak peek into a nutritional coaching program to see if hiring a coach could help you reach your goals, this episode gives you exactly that. We’ll show you what a coach does and what they focus on specifically. Tune into the episode to learn more now! If you’re following a ketogenic diet, you already know that carbs and sugar are bad for you. But you may not have realized that vegetable oils are just as detrimental to your health and should be eliminated right away too. And if you’re unknowingly consuming these, it could be why you’re struggling to reach your goals on keto. Fortunately, this podcast episode with board certified family medicine physician and author of Deep Nutrition, Dr. Cate Shanahan, can help. In it, we’ll share why vegetable oils are so bad for you, the exact ones to eliminate, and why we’ve had this wrong for so long. Dr. Shanahan also dives into a study that’s been overly and incorrectly used showing how a ketogenic diet causes weight gain and fatty liver. On top of that, we also discuss keto on athletic performance and Dr. Shanahan gives her best tips for how many carbs athletes should consume on keto. Tune in now to see what we mean. If this has happened to you, it doesn’t mean that keto is the wrong tool to use here. Rather, you may just be missing one huge component: alkalinity. Contrary to popular belief, becoming more alkaline doesn’t involve eliminating all acidic foods for alkaline-only ones. Instead, it means finding the right balance while striving to reach and maintain ketosis. Fortunately, thanks to this podcast episode with triple board certified physician Dr. Anna Cabeca that won’t be so hard to do since she’s sharing her top principles for becoming more alkaline on a ketogenic diet. This style of eating helped Dr. Cabeca reverse perimenopause so she could successfully have a child at age 41, and she continues to use these principles with success in thousands of women at her practice. Tune into the episode now to learn how to balance your hormones naturally so you can finally reap the positive benefits that come with a ketogenic diet. To improve as an MMA fighter, Kyle Kingsbury turned to meditation and self-reflection, which helped to calm his mind and keep it quiet during fights. But he quickly realized that these tools were also helping him become a better person. Fast forward 10 years later and Kyle has moved on from being a professional athlete and works as the Director of Human Optimization at a popular supplement company. In this podcast episode, we chat about how Kyle still uses those tools to figure out what his next move in life is, why he experiments with nutrition -- including trying the carnivore diet for 17 days and taking part in an elimination challenge, his seasonal approach to carbs, and why he challenges things instead of just accepting them at face value. Kyle also dives into the life lessons that fighting taught him and why he doesn’t follow some of the traditional dieting advice. Check out the episode now to learn more! And if it’s not carbs, then what is it? Should you just increase your fat intake? Or protein? Or both? Instead of being overwhelmed by what to do, tune into this podcast episode with the self-proclaimed Keto King, Brandon Carter, who has made it his mission to help people pack on muscle while following a low-carb high fat-diet, to find out the exact strategy you need to do this. We’ll show you how to adjust your macros and maintain a lean physique without having to add carbs into the mix. Brandon also shares his experience with cyclical keto and protein-sparing modified fasts. Check out the podcast episode now to learn more about building muscle on keto. On the surface, you see a chiseled Navy SEAL that’s clearly in shape and has his life together. But that wasn’t always the case thanks to his hard upbringing. At one point David Goggins had just 3 months to lose over 100 pounds in order to try out to become a Navy SEAL, which would help him escape his abusive, alcoholic father and help to support his mom who worked 3 jobs. Determined to prove he could, David changed his mindset and put in the hard work necessary to achieve that goal and so many more. And he continues to implement these same strategies -- which he shares in his latest book and this podcast episode -- to consistently improve his situation. Join David and Dr. Anthony Gustin as they discuss David’s top tools for changing your mindset, overcoming a bad mentality, and finally making progress in your life. You may have heard of Diane Sanfilippo from one of her best selling books, Practical Paleo or The 21-Day Sugar Detox, but did you know she’s been using ketosis as a tool the entire time? Does that mean she’s switched from her paleo roots to full-time keto? As you’ll learn in this podcast episode, Diane’s approach is different. For one, it removes diet labels and encourages flexibility and finding the right diet to support your lifestyle at this stage in your life, even if this changes over time. She also uses a SAVVY way of eating and tracks her food in another more effective format instead of subtracting from an arbitrary budget of 1,200 calories per day. Diane shares her knowledge on these topics in an easy-to-digest format in this episode, where we also discuss why ketosis is not about fat loss and what else people get wrong about a keto diet. Check out the episode now to learn more about Diane’s concise approach and simple framework. If you’ve ever tried the calories in versus calories out approach to losing weight, then you probably know firsthand how this doesn’t work. But is that a universal truth or is it just not the right approach for your body? In this episode with guest Jonathan Bailer, a New York Times Bestselling Author of The Calorie Myth and other notable books such as The Smarter Science of Slim and The Set Point Diet, Dr. Anthony Gustin explores what’s really going on with calorie counting, including what Harvard Medical research supports. We’ll also dive into why calories have become such a fixation, the best nutrient-dense foods to reach for, and the exact step-by-step strategy to implement today to improve both your overall health and weight (hint: you won’t have to ever count a single calorie again). So if you’re tired of logging every bite and killing yourself at the gym, and you’re still not seeing results, the good news is there’s a better approach and we’ll share it in this podcast episode. Think you’re too young to worry about cognitive decline and issues like Alzheimer’s and dementia? But what exactly are the specific lifestyle choices you should focus on to ensure your risk for developing metabolic diseases and early cognitive decline are as low as possible? Are gluten, carbs, and sugar the only thing you need to worry about? And what does the research support 5 years after Grain Brain was published? Tune into this podcast episode to find out and to see what Dr. Perlmutter, a board certified neurologist, has to say about how to ensure your brain health is in peak condition now and well into your future. You’ve probably read stories on how some centenarians owe their triple digit lifespan to their drink-a-day habit, but these people are outliers and this advice is really not practical for living longer. But if that’s the case, what is? Should you just chalk it up to good genes or is this something that we can control? As you’ll learn in this podcast episode with Dr. Peter Attia, there are plenty of strategies that are well within your control when it comes to improving your lifespan and your quality of life. We’ll dive into these specifically and we’ll explore the connection blood glucose has on the big three (heart disease, neurodegenerative diseases, and cancer) as well as the specific blood markers you can track to see how you’re doing here. We’ll also discuss personal tracking devices such as the Oura ring and Dexcom G6 continuous blood glucose monitoring to see how these can help. Tune in to the episode now to find out how you can add more quality years to your life. Red light therapy has the complete opposite effect on health as something like a tanning bed. Instead of delivering damaging rays to your skin, light therapy repairs your cells, helps your muscle recover, increases melatonin production, and improves both skin and brain health, among many other things. And what does science have to say about red light therapy? Are the benefits really proven? We’ll answer those questions and more in this podcast episode with Scott Nelson, co-founder of Joovv, an at-home red light therapy device. We’ll also dive into the research, how a keto diet affects red light therapy, and why it only takes less than 10 minutes a day to start seeing results. Tune in to the episode now to find out if this is really worth all of the hype. You may be tracking carbs, macros, and your sugar intake, but if you’re not checking your blood sugar levels as often, you’re missing a huge chunk of the puzzle. And despite eating foods marked as low carb, you may be unknowingly increasing your blood glucose levels just the same. Do this long enough and for an extended period of time and you’ll quickly increase your risk for developing inflammation, diabetes and other chronic diseases. Instead, find out how to keep your insulin levels low in this podcast episode to avoid all of these debilitating conditions. We’ll also explore both nutritional tips and other things you can do to keep your levels within a healthier range. Tune in now to understand everything you need to know about blood glucose levels. Are you losing your hair on a keto diet? Wondering if a carnivore diet is better than keto? Curious to find out what happens when you go off keto while traveling? Is morning sun exposure any safer? If questions like these keep coming up on your keto journey, this podcast episode can finally give you some answers. In it, Alex Cunningham, Perfect Keto’s Head of Partnerships, and I sit down to discuss the answers to these questions and so much more. We’ll even dive into some non-keto topics such as the goal and future of Perfect Keto and my best advice when it comes to starting a business. Check out the podcast episode now to learn more. Is it bad for you to keep going in and out of ketosis? Questions like these come in from our Perfect Keto community all the time. So, to help you decipher between facts and fake news, I’m sitting down with our Head of Partnerships, Alex Cunningham, to answer 10 more of your top keto questions. We’ll discuss everything from exogenous ketones and MCT oil on fat burning, the best sources of micronutrients, building muscle and drinking on keto, and what really happens when you cycle in and out of ketosis. We’ll also share some tips for restoring gut health and how long it can take to repair damage once it’s been done. If you’ve had questions on keto, check out this podcast to finally have some answers. If you’ve been following a ketogenic diet, then you know just how important it is to eliminate carbs, sugars, and grains. But what if we told you that there was one more category worth ditching? Once you’ve eliminated those blood sugar spiking foods, your next step is to get rid of harmful vegetable oils from your diet. As you’ll see in this podcast episode with co-founder of Kitava and Trish.io, Jeff Nobbs, vegetable oils wreak havoc on both your health and the environment. And they do nothing to improve the taste of your food. In fact, if anything, you’re missing out on real flavor when you use inflammatory vegetable oils over healthier alternatives. So why are vegetable oils so heavily used then? And what makes them so bad? Find out the answers to these questions and more in this podcast episode. We’ll also show you what’s really going on with vegetable oils and why they should be eliminated immediately. Check out the episode now to learn more. What if your protein intake is the reason why you’re not reaching nutritional ketosis? Be honest. Are you too afraid to eat enough protein since you’ve heard it will kick you out of ketosis or prevent you from reaching it altogether? Or are you more concerned that you’re eating too much protein on keto and that’s why you’re stuck gaining weight instead of losing it? As the Ketogenic Girl, Vanessa Spina, shares, there are some things that will kick you out of ketosis, but protein is probably not the culprit here. Find out in this episode what could be to blame and how Vanessa went from being vegetarian to carnivore and realized that increasing protein and reducing carbs was the secret sauce to optimizing her health and feeling better. She’ll also share her best tips, including the exact areas she struggled with, to help other people heal so they can reach nutritional ketosis too. Tune in to the episode now to learn more about what happens when you increase your protein intake on keto! Most of us are so used to feeling stressed, anxious, and burned out that we don’t even realize this isn’t a healthy place to be. Do this long enough over extended periods of time and you’ll quickly set yourself up for a host of chronic health conditions. Instead of getting to that point, join Dr. Anthony Gustin as he sits down with registered dietician Ali Miller to uncover how stress and anxiety are connected to nutrition and how keto can affect these. Ali also shares some common ways that you could be adding to your stresses because of keto and why you may be feeling worse on it. So if you’re tired of feeling so exhausted all the time and you’re ready to move from a reactive stressed out state to one that’s balanced and energizing, check out the episode now! Hitting a plateau on keto doesn’t mean you’ve failed or that a keto diet isn’t right for you. It just means your body may have already adapted and needs to switch things up to break through its current plateau. But with so many variables to tweak, such as carbs, calories, fat, sleep, and more, it can be difficult to pinpoint which ones to start with. Most people usually start by restricting calories or increasing the intensity of their workouts. But these aren’t always the best routes to take, as you’ll learn in this podcast episode with keto expert Chris Irvin. We’ll also show you the telltale signs you’re in a plateau and what to do about it. The reality is keto plateaus are inevitable. Once your body adapts, it’s up to you to be your own detective to see what adjustments need to be made. Find out how to do just that by checking out the episode now! Should you be concerned about food additives in food products like almond milk when following a ketogenic diet? Can the carnivore diet help heal gut issues? And who is it right for? Will stevia, monk fruit, or erythritol cause your blood sugar levels to increase? Why is it that some people don’t see high ketone numbers even when following a strict keto diet and fasting? I get questions like these on a daily basis. So, to help sort through the confusion, I sat down with Alex Cunningham, Perfect Keto’s Head of Partnerships, to bust common health myths and answer the most burning questions we get about ketosis and the keto diet. We also explain why probiotics don’t work how you think they do, my best tips for following keto with a busy lifestyle, and even my go-to 4-ingredient ice cream recipe. A lot of first-time ketoers believe that having high ketone levels = health. This couldn't be further from the truth. Ketosis in itself isn't healthy if you're not reaching it by eating nutrient-dense, high-quality foods. In today's episode, nutrient density expert Chris Masterjohn, PhD, explains why. Chris Masterjohn holds a PhD in Nutritional Sciences and is a former postdoctoral research associate and assistant professor of Health and Nutrition Sciences at Brooklyn College turned entrepreneur. Since having high blood ketones doesn’t mean your health is any better, what should you focus on besides boosting ketone levels? In this episode you'll learn which micronutrients you need the most, how to get them, how nutrient-density impacts your energy levels and the many side effects of nutrient deficiency. If you're struggling to make keto work, this is for you. Building better habits takes a lot of effort, but it’s even more challenging when the people around you are holding you back instead of cheering you on. Anyone who’s tried to eat healthier while their significant other continues eating junk food knows that not having the emotional support for your health goals can strain your relationships and sabotage your best intentions to level up. Today, Dr. Jesse Chappus and his wife Marni Wasserman join me to talk about how to find this emotional support in your relationships, why it’s vital to create a support system around you, how they support each other, their health journeys, and how they run their successful health business together. Jesse, a chiropractor, and Marni, a chef and holistic nutritionist, are the co-hosts of The Ultimate Health Podcast. They kickstarted this project when they were dating back in 2014, and now it’s one of the most popular health podcasts out there. If you want to find like-minded people that support your health and growth or get emotional support from your current relationships, this episode is for you. What does science say about fasting? Is there any difference between intermittent and prolonged fasting? How will keto affect my performance at the gym? If you've ever wondered any of this, Thomas DeLauer has the answer. He's also a leader in the keto space and has one of the biggest Youtube channel about health and the ketogenic diet, with almost 800k subscribers. Thomas is one of the best people to follow for keto and health advice because he has a rare talent: He's able to break down complex research into digestible and actionable information that makes your life better. In today's episode, Thomas and I chat about fasting, training on ketosis, where to get your fat and protein, food quality, keto walls, and much more. Tune in and take notes if you want to make your keto diet even more effective. Your body is constantly interacting with your environment, and every single interaction impacts your health, for better or worse. Biohacking means optimizing these interactions through better habits, choices, and techniques so you can be as healthy as possible. Through biohacking, you can prevent fatal diseases, boost the quality of your life and even extend your lifespan. This week, I'm chatting with Dr. John Limansky, aka The Keto Doctor, about the biohacking techniques he uses to enhance not only his own health but that of his patients and family as well. Shortly after Dr. Limansky became a physician, he decided to focus his career on preventive health care instead of the traditional curative approach that doesn't address the root cause of disease. Through his work, he's learned which habits make the most impact on our well-being and what we should focus on to enjoy optimal health. Listen in to learn how to upgrade your sleep, reduce stress, improve your nutrition, and lead a better life. Danny Vega and his wife treat their children as equals. They give them the freedom to pick from a range of healthy foods, let them eat from the adults' menu, and teach them about money management. This is all part of their transition to a wholesome lifestyle they began as a family years ago. Getting your family on board with a healthy change is challenging, and they know this first hand. That's why Danny Vega joins me today to share the strategies he used to get his children excited about real food, how he teaches them about nutrition and keto, why they're homeschooled, and much more. Danny is a powerlifter, dad of two, and co-host of The Ketogenic Athlete podcast. He received his Masters of Science in Human Performance from the University of Florida and he's a former Strength and Conditioning coach. Tune in to learn how to help your family adopt healthy habits, why kids can eat keto, and how Danny trains as a fat-adapted powerlifter. Today I’m sharing one of the most requested episodes yet: my results from doing a carnivore diet — which means eating only animal products — for 5.5 weeks. At the beginning of March — after doing my own research and receiving a lot of questions about whether or not carnivore is healthy — I started a carnivore diet experiment to track its effects on my cognition, productivity, emotional well-being, energy, workout performance, and health markers. I had read countless anecdotes of people reporting improved mood, cognition, and overall health from going carnivore, and I wanted to test it out myself. Surprisingly, eating a carnivore diet made me feel a lot better than expected. In this solo episode, I share exactly what I ate, what my blood tests showed, how I felt on it, whether I stayed in ketosis or not, how my gut reacted, how my eating patterns changed, and a lot more. If you’re doing keto and feel curious about going full carnivore, this episode will give you a better idea of what to expect. If you want to live a healthier life, cutting out sugar from your diet is an impactful first step. Not only is sugar harmful to your metabolism and energy levels, it's also highly addictive, so kicking the habit is necessary to retrain your taste buds and food preferences. In today's episode, Zevia CEO, father, and athlete Paddy Spence shares his own journey of going sugar-free and explains how you can get started too. Paddy Spence has been in the health food business for 26 years and has been sugar-free for almost 18 years. During this time, he has grown his low-calorie, sugar-free beverage company and overhauled his family's eating habits. Tune in to learn why sugar is so detrimental to your health, how to get off it, which sugar substitutes are better, and what going sugar-free can do for your health. What if eating less fiber and prebiotic foods was the key to optimal gut health? You've probably heard how important fiber is to feed the bacteria in your gut and speed up digestion, but this popular belief may be doing you more harm than good. Dr. Michael Ruscio, a leading functional medicine practitioner specializing in gut related disorders, joins me today to bust the most common (and damaging) myths about gut health -- including how fiber affects your gut bacteria. Dr. Ruscio is also a clinical researcher, international lecturer, and best-selling author. His research has been published in peer-reviewed medical journals and he speaks at integrative medical conferences across the globe. In his recent best-selling book, Healthy Gut, Healthy You, he explains how to fix your gut health step-by-step with evidence-based methods, and in this episode, he gives us a peek into the research. Tune in to find out how your gut works, how the relationship between lifestyle and microbiota affects your health, why less fiber may be better for you, how to take probiotics the right way, and much more. There is a lot of misinformation about what it takes to lose weight on a ketogenic diet. Are calories in, calories out all that matters on keto? Will too much protein stop your weight loss? How do you stay at a calorie deficit without feeling hungry? To set the record straight, this week I'm chatting with Craig Emmerich, the co-author of the book Keto: The Complete Guide to Success on The Ketogenic Diet. Besides literally co-writing the book on it, Craig has spent the last few years researching what works and what doesn't on a ketogenic diet. Along with his wife Maria Emmerich, he teaches people how to formulate a keto diet that works for them and how to avoid common pitfalls that keep them from seeing results. Tune in to find out how to effectively lose weight and fat on keto, get over plateaus, make your diet as healthy as possible, stay satisfied on 800 calories per day, and much more. When you do strength training on a carb-based diet, you need a lot of carbs to build and maintain mass. However, those rules go out the window when you follow a ketogenic diet and become fat-adapted. Building muscle and getting stronger without depending on carbs is completely possible on keto. Today Luis Villasenor explains exactly how to optimize your ketogenic diet for muscle building, including how much protein to eat, the best fuel sources, and the electrolytes you need. Luis is the founder of Ketogains, a website that helps people achieve an optimal body recomposition through a ketogenic diet and fine-tune their diet to reach their health goals. He has been powerlifting and strength training on a keto diet for years, so he's living proof you don't need to load up on carbs to grow. Join us to learn how a keto diet can boost your gains -- carb-free. Just like a calorie isn't simply a calorie, a nutrient isn't just a nutrient. For instance, the zinc in pumpkin seeds isn't absorbed the same way as the zinc in red meat, so it doesn't give you the same health benefits. The source of your nutrients and the quality of that source are fundamental to your health. Choosing anything less than the highest-quality, most nutrient-dense foods can lead to excess weight, higher risk of metabolic and neurodegenerative diseases, lower energy, and worsened cognitive function. That's why today I sat down with board-certified nutritional consultant and primal eating expert Nora Gedgaudas to talk all about nutrients. Nora is also a board-certified neuro-feedback specialist, best-selling author, speaker, teacher, and researcher with over 20 years of clinical experience. In this episode, she breaks down which nutrients we need the most and how to get them from our diet, while dispelling common nutrition myths. Most people start a ketogenic diet to reap the fat loss and energy benefits of running on fat instead of carbs, but beginners often struggle during the initial keto-adaptation period – the phase in which your cells adapt to burning fat for energy. During this keto-adaptation process, your body goes through fundamental cellular changes that improve how you store and create energy, which takes some time. Today, ketosis researcher Chris Irvin, also known as The Ketologist, joins me to explain what keto beginners can expect from their keto-adaptation phase, how to speed up the process and minimize side effects, and how to use the ketogenic diet for optimal health once you're fat-adapted. Chris Irvin has a background in exercise and nutrition science and he has conducted research about ketosis alongside the famous doctor, professor and researcher Dominic D’Agostino at the University of South Florida. Chris is an expert at taking complex ketosis research and turning it into actionable and digestible information. Listen in if you're just starting the ketogenic diet, or want to use it more effectively. Whether you're a competitive endurance athlete, biker, CrossFitter, or barely entering the fitness world, you've probably heard that the best way to fuel your body and speed up recovery is by loading up on carbs. You may have also been told that the source of those carbs doesn't matter, so you can indulge in pasta all you want. When Steph Lowe was doing long-cross triathlon a few years ago, she was told the same thing, but she refused to go with the flow. She believed there had to be a better way to increase performance and endurance without relying on sugar and processed foods. And she was right. After her own experience as an athlete, Steph Lowe became a sports nutritionist and founded The Natural Nutritionist, where she uses a LCHF ketogenic diet to help other athletes improve not only their performance, but also their blood sugar, metabolism, gut health, mental well-being, and much more. In this episode, she breaks down why athletes are harming their performance by relying on carbs, and how to make the switch to a ketogenic diet for better results. What if everything you were ever taught about dietary fat was wrong? According to science journalist and best selling author Nina Teicholz, it is. Nina is an investigative science journalist who became popular after writing her NYT best selling book The Big Fat Surprise, in which she unmasked the truth about saturated fat and how our grain-loving nutritional guidelines are based on bad science and special interests. In today's episode, she explains why we should all embrace saturated fat again and how deeply the low-fat dogma has harmed our health in the last decades. She also reveals why your doctor doesn't recommend a diet high in saturated fats, even though the science clearly shows saturated fat is amazing for our well-being and isn't the culprit of heart disease. Listen in to hear what truly happened to saturated fat, nutritional policy, and our health. Could you eat only meat and water for a year? Today's guest, Dr. Shawn Baker, is doing just that. Dr. Baker is an orthopedic surgeon, weightlifting world record holder, and pioneer of the carnivore diet. He became a vocal leader of the carnivore movement over a year ago, when he transitioned from the ketogenic diet to fully carnivore. He eats around 4-6 pounds of meat per day, water, and 0 plants -- and he's thriving. However, he admits that if 5 years ago someone had told him about the carnivore diet, he would've thought it's ridiculous. That's why in this episode he busts common myths about the carnivore diet and explains how and why it works. He also tells us how he ended up eating just meat, how he's improved his health and performance in his year as a carnivore, and other meaty details. Whole grains are promoted as the cornerstone of a healthy diet by authorities like the USDA, the American Heart Association, and the Food Guide Pyramid. There's just one problem: Grains are also the leading cause of heart disease, especially modern crops like wheat and corn. When Dr. William Davis came to this shocking realization, he began conducting research and later published the New York Times best-selling book Wheat Belly, which then turned into a series of books. Dr. William Davis is a cardiologist, best selling author, and the medical director and founder of the Wheat Belly Lifestyle Institute. With this work, he defied the traditional set of nutritional guidelines and beliefs that embraced grains and shunned fat. His research showed that fats weren't responsible for heart attacks, but grains were. When he put patients on a grain-free diet, their markers for heart disease went down and they experienced other perks like faster weight loss, reduced joint pain, and improved mental clarity. In today's episode, I take a deep dive with Dr. Davis to explore why grains cause heart disease, what he found in his research, the important role of cholesterol in the body, why the current healthcare system won't help you prevent heart disease, and how to tweak your nutrition for better health. If you have a chronic disease like type II diabetes, asthma, Alzheimer's, hypertension, or atopic dermatitis, it's unlikely the severity of your condition will ever diminish under traditional healthcare. Because our health system is designed to dull external symptoms with drugs instead of fixing the root causes of chronic conditions, which are often a mix of genetics and lifestyle factors. It's far easier to prescribe a drug than to provide tailored health strategies for each person's unique lifestyle and condition -- and the result of this is a life-long dependence to prescription drugs. Today's guest, Chris Kresser, is striving to change this model of healthcare. Chris is a functional and integrated medicine provider, one of the most influential people in the health space, author, and entrepreneur who's been studying, practicing, and teaching alternative medicine for more than fifteen years. He believes diseases should be treated from the root cause, not the symptoms. This approach is called functional medicine and in this episode, Chris explains why it's the best solution we have for preventing and reversing chronic disease. Join us to learn what functional medicine is and what you can do in your everyday life to treat and prevent chronic conditions. There's no doubt our exercise and diet habits have drastically changed since the hunter-gatherer days. We now exercise in machines and have immediate access to high-carb, high-calorie foods. These changes, although convenient, are harming your health more than you think. Today's guest, Mark Sisson, explains why and what to do about it. Mark has been advocating for a healthy lifestyle rooted in the way our ancestors moved and ate since 2006 in his popular blog Mark's Daily Apple. He became a leader in the Paleo community, popularized his eating philosophy called The Primal Blueprint, and recently turned into a vocal supporter of the ketogenic diet. He has published books about primal living and ketosis and created his own primal supplement line. In this episode, we chat about why he switched endurance exercise for fun strength and power workouts, how he first got into paleo primal living, how to make the leap from the paleo diet to ketosis, and much more. The most effective ways to upgrade your confidence, relationships, energy, and mental performance are also the simplest. Biohacking means doing small but powerful changes -- biohacks-- that have a profound and long-lasting impact on your health. Today's guest, Tony Wrighton, shares his favorite biohacks for leveling up. 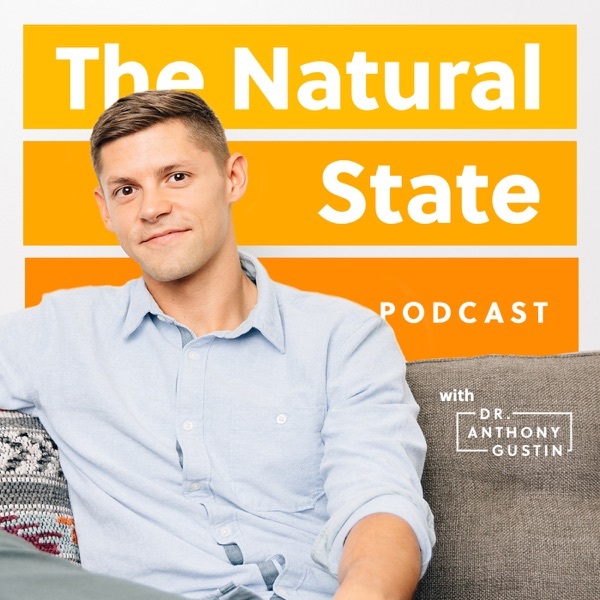 Tony Wrighton is a Sky sports presenter as well as an author, one of Britains most popular NLP (Neuro-Linguistic Programming) experts, and host of the top-rated podcast Zestology. He has published three NLP-related books, which have been translated into 12 languages. In this episode, we chat about neuro-linguistic programming, using the ketogenic diet to heal, becoming fat-adapted, the carnivore diet, using intermittent fasting while traveling, and more hacks for a better life. The quality of your food determines the quality of your health. It's no coincidence that the overconsumption of ultra-processed foods goes hand-in-hand with the rise in obesity and heart disease all over the world in the last few decades. The best way to achieve optimal health is to focus on finding, eating, and enjoying real, high-quality food. Today's guest explains exactly how to do that. Vivica Menegaz is a nutritionist, cookbook author, keto blogger, and former professional food photographer. In this episode, we talk about how to make healthier food choices, how to find local and seasonal foods, why detoxing is actually necessary (when done right), and much more. The way you perceive and interact with your food affects your health. Counting calories, obsessing over macros, eating on impulse, and binge-eating as a "reward" all foster a harmful relationship with food that makes you miserable and unhealthy. Today's guest, Chris Dufey, knows this first hand. Chris is an author, speaker, former personal trainer, weight loss expert, and entrepreneur who went from feeling sluggish and tired in his early 20s to healthy and fit after improving his relationship with food. In this episode, he joins me to talk about why it's better to focus on the quality of your food instead of the quantity, why you don't need to track nutrients intensely, how cheat meals harm you, and other steps you can take to upgrade your relationship with your food. Movement is more than just your workout. It's the way you walk, how you sit, how you stand, and the facial expressions you make. Everything around us affects our movement, and in turn, our movement has a ripple effect on our physical, emotional, and mental health. In today's episode, movement coach, licensed massage therapist, podcast host, and founder of Align Therapy™, Aaron Alexander, breaks down why optimizing our movement is vital for optimal health. We look at how our modern environment encourages incorrect movements and postures that end up causing pain, inflammation, and disease, and exactly what we can do to prevent it. Listen in to find out how you can foster healthier movements and enjoy a dynamic pain-free life. Did you know that over 40% of Alzheimer's disease cases have one main cause? Today's guest will tell you what it is (hint: it has to do with nutrition). In today's episode, famous science journalist and brain food expert Max Lugavere joins me to talk about how we can protect our brains from dementia and boost our cognitive performance with proper nutrition. He also explains the truth behind the onset of neurodegenerative diseases like Alzheimer's and Parkinson's, and how we can easily prevent them. Max is a filmmaker, TV personality, and science journalist passionate about brain health. He's a contributor to major publications including Medscape, Vice, Fast Company, and the Daily Beast. His latest book, Genius Foods, breaks down all the research he's done over the years on brain health, cognition, diet, and lifestyle habits. Listen in to find out how you can protect and supercharge your brain through your food choices. The protective effects of the ketogenic diet, including weight loss and brain power, happen thanks to abundant fatty acids and a strict carb restriction of just 20g/day. But what would happen if the carbs went down from 20g to zero? That's exactly what the carnivore diet does. In this episode, filmmaker and low carb veteran Chris Bell compares the health effects of both the ketogenic diet and the carnivore diet. He also explains what mainstream nutrition gets wrong about carbs and plants. Chris Bell is a former powerlifter and filmmaker with many successful documentaries under his belt, including Bigger, Stronger, Faster*, Prescription Thugs, and Trophy Kids. Listen in to learn what the carnivore diet really is, what it does different from keto, and how both can help you. The fuel your body runs on determines how you feel and perform. Relying on carbs when you should be using fat, or vice-versa, can lower your workout performance, mental energy, and productivity. Metabolic flexibility unlocks your ability to switch between fats and carbs easily so you can adapt to different situations. Dr. Mike T Nelson is an expert in metabolic flexibility and our guest today. He has a PhD in Exercise Physiology, a Masters’ in Biomechanics, he’s a professor and a member of the American College of Sports Medicine, and a professor in human performance at Carrick Institute for Functional Neurology. He's dedicated his career to figuring out how to make the human body stronger, healthier, and more adaptable. In this episode, he goes deep into what metabolic flexibility is, how you can achieve it, how to balance your carbs and fats for optimal performance, the health markers you should track, and a lot more. What is more likely to lead to heart disease: cholesterol or insulin resistance? According to one of today's guests, Dr. Brian Lenzkes, it's the latter. Dr. Lenzkes is an internal medicine doctor with extensive knowledge in clinical nutrition. By working closely with his patients, he's discovered insulin resistance is central in many metabolic diseases, much more so that cholesterol or triglycerides. Today he sits down with me to explain why we need to start paying attention to our insulin sensitivity and how we can keep it in check with a ketogenic diet. Rachel Gregory also joins me in this episode to talk about optimizing exercise with a low carb diet. Rachel published the first ever human trial about the effects of the ketogenic diet on CrossFit athletes, and the results will impress you. She's a board-certified nutrition specialist, athletic trainer, and entrepreneur. Listen in to learn how a ketogenic diet can improve one of the most important health markers and make your workouts more effective. Inflammation is one of the major culprits in virtually all diseases. Today's guest, Dr. Will Cole, has devoted his entire career to helping people with autoimmune inflammatory conditions, so he's an expert at dealing with inflammation. One of the tools he implements to reduce inflammation in his patients is nutritional ketosis. A ketogenic diet can dramatically cut down inflammatory reactions and improve metabolic function. The results he's seen on his patients are nothing short of impressive, and in this episode, he tells us all about it. Dr. Will Cole is a leading functional medicine clinician, chiropractor, author, lecturer, and a firm believer in personalized health. His individualized ketosis approach has made his functional medicine practice famous. Listen in as he explains how to treat inflammation with ketosis, how to optimize your ketogenic diet, and what functional medicine is all about. To improve your health, all you have to do is pay attention to what you eat. That's what today's guest, Emily Schromm, learned while she was in the process of healing her chronic acne, digestive problems, and fatigue. She explains why a high fat, low carb approach is the best to eradicate these health problems. Emily is a successful personal trainer, nutritional therapy practitioner, CrossFit coach, fitness star, and CEO of Evolved Motion and Herbal Element. She created the first and only functional workout pack called the EMPACK, and she helps thousands of people around the world with her Superhero Challenge and The Body Awareness Project. Tune in to find out how Emily healed herself, how she eats now, and how you can listen to your own body to find balance and be at your best every single day. Common nutrition advice champions eating more plants, more vegetables, and more natural foods. But what happens if you turn your back on that advice? What happens when you instead cut out all plants and only eat meat? That's the Carnivore Diet, and today's guest Ryan Munsey experimented with this diet for 30 days. Ryan is a former fitness model, with a Dietetics degree in Food Science and Human Nutrition from Clemson University. He's a writer for leading fitness publications (Men’s Fitness, T-Nation, EliteFTS) is a member of the Men’s Health Fitness Council, and the host of the Better Human Project Podcast. Listen in to hear his results, as well as find out why you should pay attention the quality of your food no matter what way of eating you follow and why strength is the most important factor of health. Calories in vs calories out is a great place to start with weight loss, but where those calories come from does matter. Carbs make you fat, and we're exploring topics such as carbing up, cheating on keto, and what that does to your body, your gut, and your progress. We'll also discuss "realistic keto". Because let's face it: you're going to eat pizza again. It's a part of life. How can you incorporate "life" into your low carb diet? Until he stumbled across the low carb Atkins diet in 2004. "I started doing a New Year's Resolution to lose weight, and it ended up being a New Life Resolution that changed every aspect of my life." Jimmy lost 100 pounds in the first 100 days of the low carb, high fat diet, came off cholesterol and blood pressure medication, and fixed his nutrition. He's never looked back. Ever wonder how eating a low carb ketogenic diet can affect longevity? Ryan Lowery, the co-author of The Ketogenic Bible: The Authoritative Guide to Ketosis and the President of the Applied Science and Performance Institute did the research to answer that question and more. In this chat, we're talking about how ketosis can promote peak performance (not just athletic) and brain function, as well as longevity. The ketogenic diet treats everything from eczema to many chronic conditions, and one of the most common benefits of keto is rebalancing hormones, as Leanne Vogel from HealthfulPursuit.com found out.